Cao founded VPhoto in 2015 and today the company has cooperated with over 4000 photographers whose services cover 176 Chinese cities and 16 other countries. The company has grown so quickly, Cao is now known as the “Queen of internet images from China”. In a session titled ‘A Picture Says A Thousand Words’, Cao will introduce the region’s creatives to VPhoto, explaining how the company is subverting the conventional photography industry while enabling new opportunities for agencies. Her session takes place this Thursday 21st March, 10.40-11.15am. Meanwhile, AdFest is delighted to confirm that Umma Saini, Brand & Creative Lead at Google India in Gurgaon, will also be questioning ‘What would Juliet do? Staying creativein a changing world’ on Thursday 21st March at 14.30. Saini has ranked No.1 Creative Director in India by Campaign Brief Asia, and No.10 in the world by the Big Won Report – the first Indian woman ever to feature. She played a key role in launching Ariel’s #ShareTheLoad campaign that went on to become WARC’s No. 1 Campaign in the World, twice in a row, and is now a global cultural phenomenon. AdFest is also hosting a series of screenings and exhibits this year, from ADC*E’s showcase of the best in European graphic design and advertising creativity to D&AD’s exhibition of D&AD Impact winners – a category that seeks to celebrate these great, transformative, creative ideas that have had real impact and, ultimately, contribute towards a better, fairer and more sustainable future for all. FIAP, the London International Awards, Longxi Creative Awards and The One Show will also showcase their winners and finalists, giving AdFest delegates the chance to be inspired by ideas from all corners of the globe. Film screenings include the Asian premiere of ‘Warsaw Rising’, a cinematic VR experience where the audience will be immersed in Polish history and experience what it was like to live in destroyed cities in the midst of explosions, gunshots and tanks. From London, Straight 8 is returning to present ‘The Best of Straight 8 Shootout 2018’ – a screening of short films made using a single cartridge of super 8mm film, without re-takes, editing or post-production. Last year, 43 creative companies worldwide took part in Shootouts in 2018 at AdFest, Cannes and the new online-premiere shootout launched in December. AdFest is also proud to be screening Young Director Award winners at the festival this year. The Young Director Award is the only award in the world aimed at promoting young directing talents. It offers these new directors remarkable opportunities, maximizing their global media coverage, and is proudly supported by AdFest’s Fabulous Five short film program. 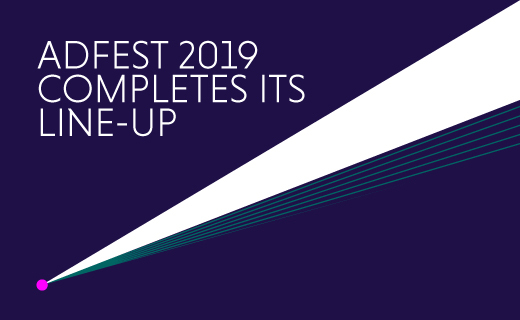 AdFest 2019 runs from 20th to 23rd March at the Royal Cliff Hotels Group in Pattaya, Thailand. To purchase tickets or for more information about the various delegate passes on offer, visit www.ADFEST.com.